Tough and wiry, Beagles are small, stout and muscular dogs. They have an intelligent expression and their signature characteristic is their long, drooping ears. If you are looking for a small to midsized dog (15 to 35 pounds) with short hair and an engaging personality, this dog may be the pet for you. However, the United Kennel Club (UK) and Fédération Cynologique Internationale (FCI) affiliated clubs recognize a single type, with a height of between 13 and 16 inches at the withers. The typical litter for this breed is from two to 14 puppies, averaging at seven puppies per litter. Good-natured and friendly, Beagles integrate well into family life. Being pack dogs, they will want to fit into the family hierarchy in their own way. They can be quite strong willed and stubborn, so it is important that they are handled with firmness and consistency during their early years. With the proper motivation, which for this breed is food, they are pleasant and fun to train. They are extremely loyal and make good companions for children and other pets, cats included, provided they are properly socialized at a young age. One of the Beagles' not so desirable traits is its tendency toward excessive barking or howling and making noise in general if left alone or if distressed for some reason. These dogs can be trained not to bark while in your presence, but teaching them to be quiet when you are away can be a challenge. Beagles were originally bred in the United Kingdom as hunting dogs and are prone to taking off to follow a scent. This trait makes it crucial that you train your pet to return when called. Even with a solid recall, it is still a bad idea to ever let one off-leash unless in a fenced in area. According to Stanley Coren, Ph.D. of Psychology Today, a Beagle's nose has an estimated 225 million scent receptors, whereas a human's nose has about five million. These floppy-ear dogs are also adept escape artists and are apt to find a way out of any confinement if they want to get out for any reason. Although Beagles will bark to indicate a stranger, most of them will also do anything for a treat. Generally, it does not matter who the treat comes from which makes them a poor choice as a watchdog. 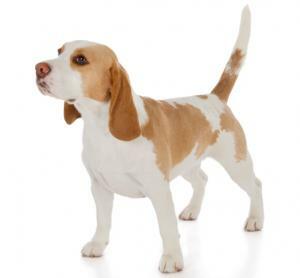 With their short, smooth coats, Beagles do not require any special trimming and can easily be groomed at home. Since they are moderate to high shedders, they should be brushed several times a week, if not daily. Brushing removes the loose dead hairs and dirt from the dog's coat. Adult Beagles are not fussy eaters and can be fed twice a day. They do have a tendency to overeat, though, and care must be taken that they do not become obese. Average food costs will be in the range of $7.00 or $8.00 per week. As puppies, it is best that you feed them as per the recommended diet of your breeder. Past this high growth phase, one can adjust their diet to two meals per day. Puppy prices average between $500.00 to $850.00 each. The rescue groups listed below operate out of private foster homes. They do not have public kennels. Most have detailed application processes. Triangle Beagle Rescue rescues North Carolina and neighboring states. BREW rescues in the Washington/Baltimore area (northern Virginia) and also have an affiliate that serves the Mid-West region. Beagles end up in rescues because they have been found wandering the streets or when hunters realize the dog cannot hunt. These dogs make excellent family dogs and usually easily transition into pets. 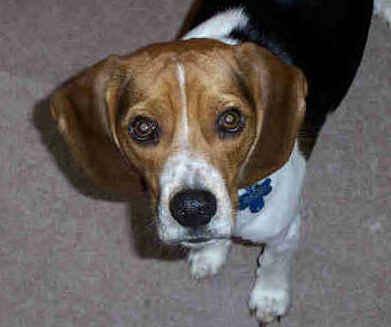 Beagle make fabulous pets when they are matched with the right families. If you're considering adding one of these dogs to your own family, be sure to visit several breeders so you can spend time getting to know the breed better and hopefully meet the puppy or adult dog you want to bring home.